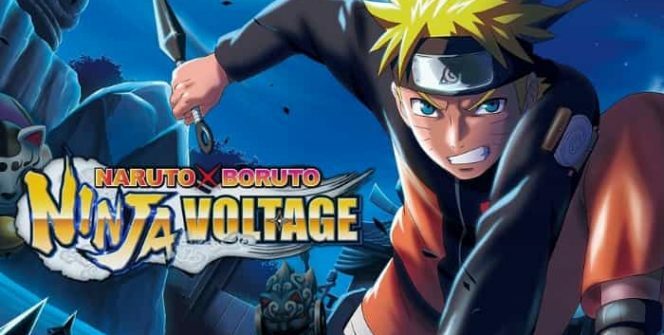 Bring down every last one of your opponent’s forts by downloading Naruto x Boruto Ninja Voltage for PC. As you may already know, this action, role-playing game is available only on mobile platforms – Android & iOS. But we have come up with a way on how to install it on Windows 7/8/8.1/10/XP or MAC desktop/ laptop. In this page, we provide you with more info about the anime-styled action game, and we walk you through the easy-to-follow step-by-step guide for downloading & installing it on a computer. Naruto x Boruto Ninja Voltage for PC isn’t an ordinary game. It can be described as a mixture of action RPG, city building, and tower defense game. This role-playing strategy game takes you into the world of Naruto and Boroto, where you’ll be taking part in intense battles & fights with the characters of the famous anime. You are expected to build a Fortress, while at the same time command a team of ninjas. The ninjas will help you protect your territory, and you’ll be using them to cast classic anime hits on your rivals as you attack their bases. Note that you’ll also need to maintain a tactical space from traps as you pulverize all enemies that cross your way. All in all, the game has a lot to offer to everyone who loves RPG, tower defense, city building, role playing strategy or anime styled action games. Send out characters like Naruto and Boruto to overcome rival Fortresses’ traps & assassins with Ninjutsu. You should also make your way deep into the enemy territories’ and steal their resources. Note that each character has special abilities, skills & combos that you can help them deploy on the battlefield via the game’s semiautomatic control system. To protect your Village’s resources and keep out enemies, you’ll have to build a Fortress. While creating your ultimate fortress you must be strategic, or else other players will attack and conquer your territory. Position traps and ninjas, (the Shinobi that you’ve trained) to slow your rivals down. The game features a multiplayer mode, and now the developer has introduced new co-op missions. Use “teamwork” to humiliate your foes. You are free to team up with a maximum of 4 players, but you can only control your main character, while the rest fight automatically. Participate in Ninja Action with Naruto & Boruto, and unleash Jutsu that comes with amazing cut-in animation clips. Generally, the game physics and fighting mechanism adds a real-like feel to the gameplay making it more appealing. The battle rankings are provided, and enable you to compete for points by attacking and protecting fortresses. Do you think that you can get the highest ranking by competing with other players from across the globe? Just install the game on your PC, and your dream might come true. Assemble the team you want, even if its Naruto and Orochimaru on the same side. Unlock heroes and upgrade them with the game’s character development, which resembles the one for One Piece Thousand Island. Build new elements which will help you defend your base and accelerate the acquisition of bonuses & items in your village. The game contains some items available in-app purchase that you can use to enhance gameplay as well as speed up your progress. Naruto x Boruto Ninja Voltage for PC comes with simple controls that enable you to perform attacks and all types of Ninjutsu. The game’s quality 3D visuals and animations are second to none. 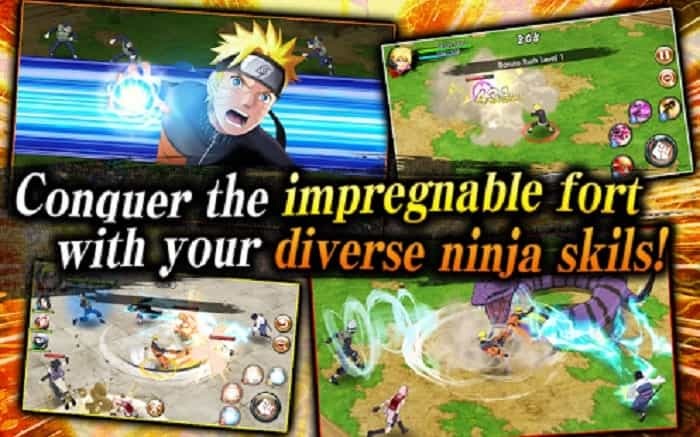 You’ll love the action from Naruto & Boruto, powerful Ninjutsu attacks like Naruto Uzumaki’s Rasengan and Ninjutsu power-ups such as Saasuke Uchiha’s Sharingan, which are all reproduced with beautiful graphics. Overall, when you download Naruto x Boruto Ninja Voltage for PC on your laptop or desktop, the details of the character and everything in the game looks impressive. The smoothness of the gameplay will also surpass your expectation. So what are you waiting for? Install the game on your PC and start destroying your enemies. Sometimes when playing Naruto X Boruto Ninja Voltage, bluestacks ask you fee to pay but gives you option to download some apps. Every time it asks you just select “Install apps” and continue using it free. I hope you enjoyed this article, please rate and share. 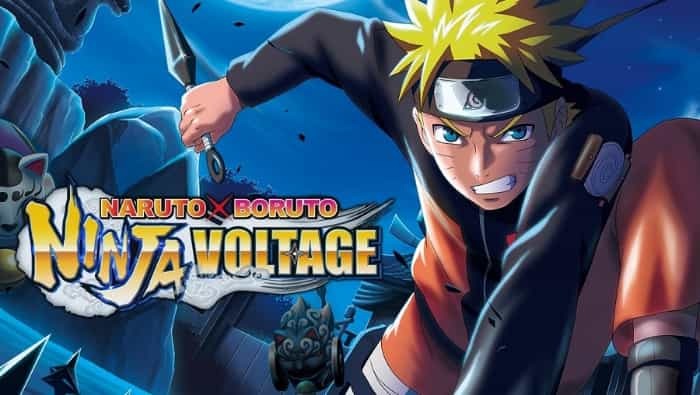 If you have problems running Naruto X Boruto Ninja Voltage on your desktop or any other issues, leave a comment below.